This paper reflects on the evolving experience of modern distance education (DE) as a field of practice for professionals and as a medium for student access to education and training. The writer’s 30 years in the field, as both teacher and student, has coincided with the five-stage evolution of DE delivery defined by Taylor (1995-2010). The author considers the perceived identity crisis and diverse theoretical frameworks of the field since the 1980s as well as the need for new levels of change management that will enable the tools, technologies, and emerging systems of DE to create the flexibility, responsiveness, and networking that the students require and that the teachers need to learn. McKee, T. (2011). Thirty years of distance education: Personal reflections. 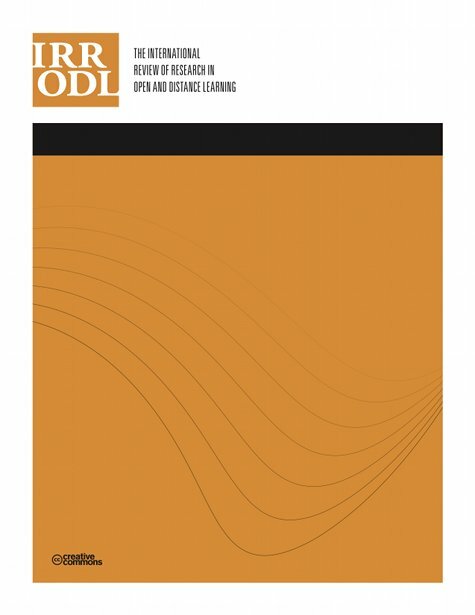 The International Review of Research in Open and Distributed Learning, 11 (2), 100-109. Athabasca University Press. Retrieved April 23, 2019 from https://www.learntechlib.org/p/49065/. Bourdeau, J., & Bates, A. (1996). Instructional design for distance learning. Journal of Science Education& Technology, 5(4), 267-283. Christensen, C. (2000). The innovator's dilemma: The revolutionary book that will change the way you do business. New York: Harper Business. Hunter, M. (1994). Enhancing teaching. Upper Saddle River, NJ: Pearson Education. Mortera-Gutiérrez, F. (2006). Faculty best practices using blended learning in e-learning and face-to-face instruction. International Journal on E-Learning, 5(3), 313-337. O’Reilly, T. (2005). What is web 2.0? Design patterns and business models for the next generation of software. Retrieved from http://oreilly.com/web2/archive/what-is-web20.html. Siemens, G. (2006). Knowing knowledge. Vancouver: Lulu Press. Retrieved from http://www.elearnspace.org/KnowingKnowledge_LowRes.pdf. Taylor, J. (1995). Distance education technologies: The fourth generation. Australian Journal of Educational Technology, 11(2), 1-7.